Hello Marty.From a mb C220 w202 1996, the airflow meter is not receiving it`s 12v power on pin 2..? 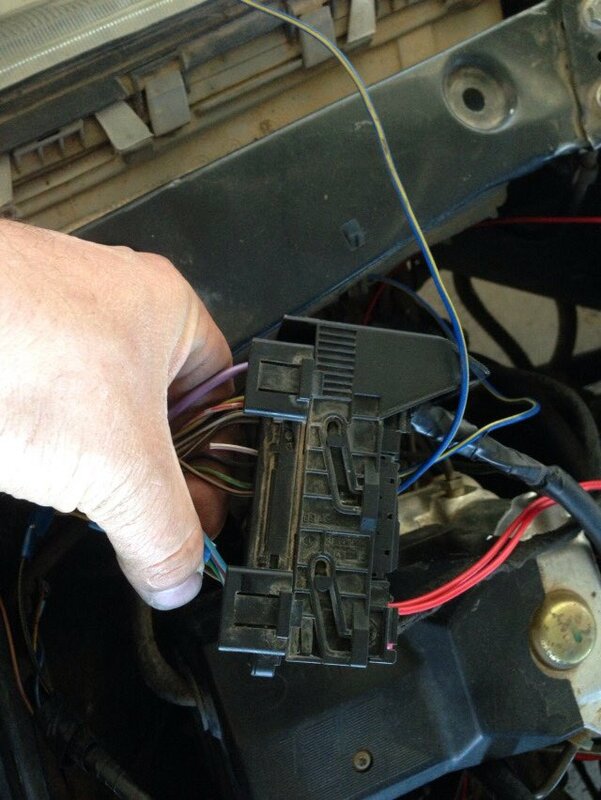 Followed the wires to a connector behind the left front headlight. thank you, ***** ***** and explore. did you manage to find the pinout of the connector behind the left front lightunit? helloThis is not nice.. we are not done, yet after the rating a gave there is no responce given anymore..??? hold on a second, we arent done. you asked for a pinout of the the other end. I sent that. the other end is at the computer which is the second attachment I sent. Hello David.On my laptop i did not receive any more messages then till the moment of rating. I see more conversations on my phone now. Indeed you are correct if i say the other end of the loom it is the computer side, sorry. Yet A part of the loom ends behind the left front headlight unit. There it connects to the loom on the body of the car. Power for the airflow meter and airco pump clutch, temperature sensor kabels are also in that same connector.. i send you a picture. I have a 2002 pontiac sunfire. The rear defroster doesnt work.